Caption It Pty Ltd (‘CI’) is a privately owned, Australian-based company that specialises in the provision of Live Captioning services (along with an assortment of other speech-to-text services), utilising cutting-edge, remote methodologies. CI was founded by Stenocaptioner and CEO, Nicole Gilvear, and incorporated in 1999. After completing her machine-shorthand studies with the National College of Court Reporting in Adelaide, Nicole went on to complete the first ever stenocaptioning traineeship with the Australian Caption Centre (now known as Red Bee Media Australia) in Sydney. Nicole launched Caption It in 1999 having identified changes to technology and legislation within the broadcast industry, which the existing captioning providers weren’t able to keep pace with. 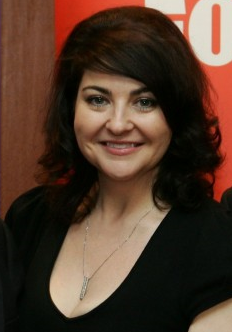 In 2001, as Managing Director of Caption It, Nicole was responsible for the development and industry introduction of a unique and cost-effective remote methodology that was subsequently universally recognised, accepted and utilised throughout Australia (including current major broadcasters and now caption suppliers across the domestic and international markets). Utilising this same technology, Nicole was responsible for the operational establishment of the ABC’s broadcast captioning facility at Northbourne Avenue in Canberra, and the ABC’s take-up and subsequent use of remote methodologies to deliver captioning services at a regional and national level. Caption It has continued to grow and now services some of the largest and most advanced and technologically diverse broadcasters and clients in the world. As a Stenocaptioner by trade, over the last 20 years Nicole has also provided stenocaptioning and captioning services on a myriad of program genres to all Australian free-to-air networks, international networks in the United Kingdom, South-East Asia and the US, and to a host of industry caption suppliers, domestically and internationally, on a sub-contract basis. Nicole is a member of the Australian Communications and Media Authority’s Captioning Advisory Committee, and the ACMA’s Captioning Technical Advisory Committee. A member of the NCRA (National Court Reporters Association of America), Nicole was also a sitting committee member of the SRAA (Shorthand Reporters Association of Australia) until its disbandment, and has given numerous presentations at state and national conferences. Nicole is an official beta tester for a number of industry leading software and hardware developers and manufacturers, both domestically and internationally, in the development of their suite of captioning products and services to suit both the Australian and international captioning markets. In addition to co-founding Caption It, Allan is a freelance cameraman/editor and producer with more than 35 years experience, having begun his broadcast career in the early 1980s. Allan has travelled extensively throughout Australia and internationally in the capacity of both cameraman and producer working on the creation of news stories, video news releases (VNRs) and news documentaries. He has been engaged for a wide range of significant events ranging from the handover of Hong Kong through to international events held in Australia. In 2011, Allan acted as local Technical Producer and ‘Fixer’ for the American Television Network NBC and The White House Press Corp during the visit to Australia by US President Barack Obama. He was critical to operations on the ground during the visit, and co-ordinated media operations for the entire visit from months before arrival to departure. 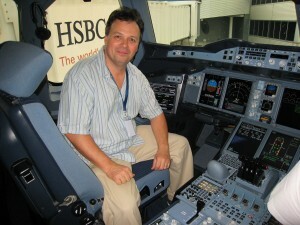 Singapore Airlines engaged Allan in 2006 to line produce, shoot and edit the Video News Release (VNR) of delivery of the first Airbus A380 aircraft in the world. The VNR was distributed via satellite to news organisations worldwide. As well as co-ordinating media crews and facilities, Allan also acted as pool cameraman, producer and editor. This project saw Allan act in an official capacity across three locations globally, and alongside luminaries from many professions. Allan has acted in a freelance or advisory capacity for Channel News Asia, Singapore, Australian Federal Police and AusAID, amongst many others. Our Operations, IT and Engineering staff have more than a combined 60 years experience within the Broadcast, IT and Captioning industries, having worked for, and with every major broadcaster in the Asia-Pacific region and beyond, including the UK, Ireland and the USA. Caption It personnel regularly attend global broadcasting and technology exhibitions such as IBC in Europe, NAB in the USA, Broadcast Asia in Singapore, and SMPTE in Australia to ensure they are across any new and emerging technologies, and well versed in existing technologies. Caption It is arguably the largest employer of the Stenocaptioner skillset within the Australian Captioning industry. The company was born from a desire to create and develop remote methodologies to support the technical reach into suitable resource markets, in order to access the most talented, trained, and experienced personnel in the world. Together, the Caption It team provide superior quality accessible media to the hearing impaired community, in a cost-effective and efficient way. This vision has led to a company mantra of unmatched quality standards, and industry-leading technological advancement, servicing some of the biggest, most regulated, broadcasters in the world. Caption It’s stable of resource (covering all skill sets) provides combined experience well in excess of a century! Caption It has offices and satellite offices based in every major capital city in Australia.